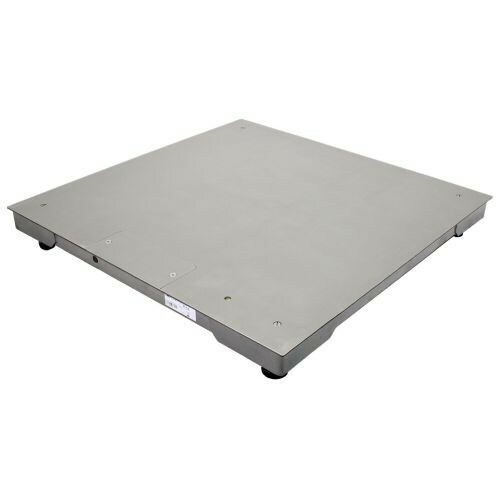 The PT Stainless Steel Platform by Adam Equipment Inc is an industrial floor scale that can be used in a variety of settings including loading docks, processing plants or shipping areas. 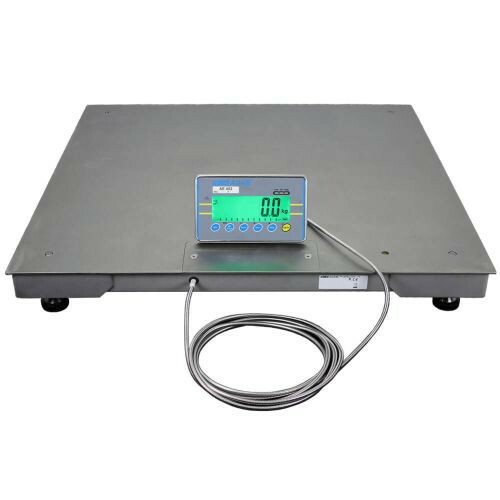 With a 2500 pound weight capacity, these durably constructed steel scales serve various functions including parts counting, percentage weighing, comparative weighing and stock auditing. 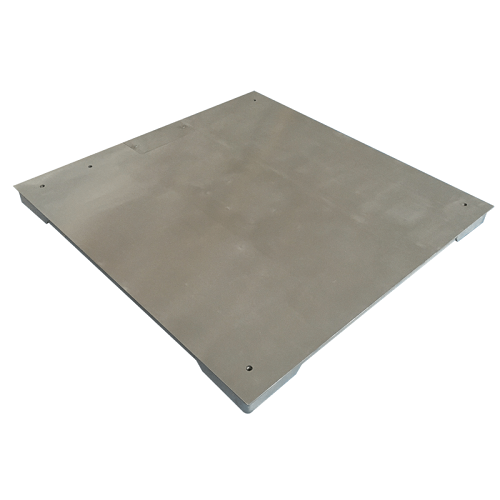 They come with several features that make the PT Stainless Platforms easy to use. The platforms have overload protection that alerts the user if the weight is too heavy for the hardware. Additional features include the heavy-duty, rubber, non-slip adjustable leveling feet to provide greater friction on the floor and a non-slip raised checkered surface to provide more traction on the platform. 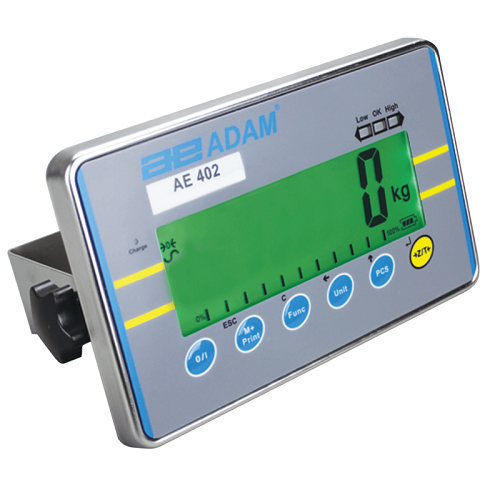 Included with the purchase of a PT Stainless Steel Platform is the AE 402 indicator. This indicator has a sleek design that includes a large LED screen with easy-to-read digits and a bright screen that can be read in any sort of lighting conditions. The indicator comes with the hardware necessary to mount it on the wall, making it easy to view.